Built to handle both short-form and long-form content, flawlessly. A simple way to add formatting, so you focus on what you’re writing instead of how it looks. 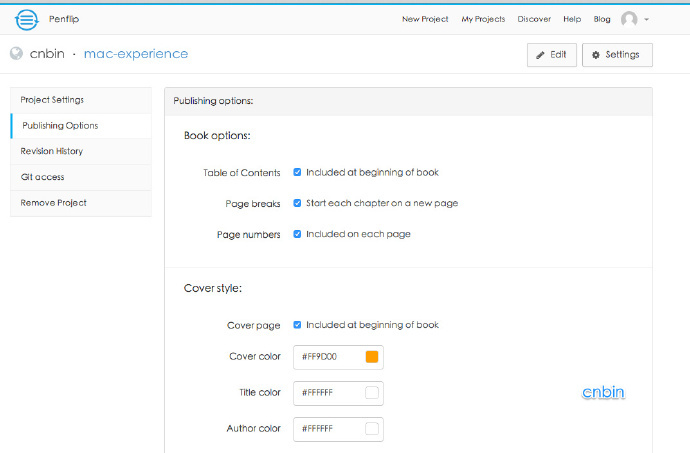 Easily create new chapters for books, then drag & drop to reorder. Prefer to use your own text editor? You can. Each writing project has a git repository with full access. Write math equations in LaTeX or MathML with MathJax. A full suite of tools and features to bring your idea to life.